Angelina Jolie won an Oscar for her role in ____. Adjusting for ticket inflation, Jolie’s highest grossing movie is ____. Do you know what Jolie wanted to be when she grew up? Can you name the first movie Jolie wrote and directed? In the Land of Blood and Honey! 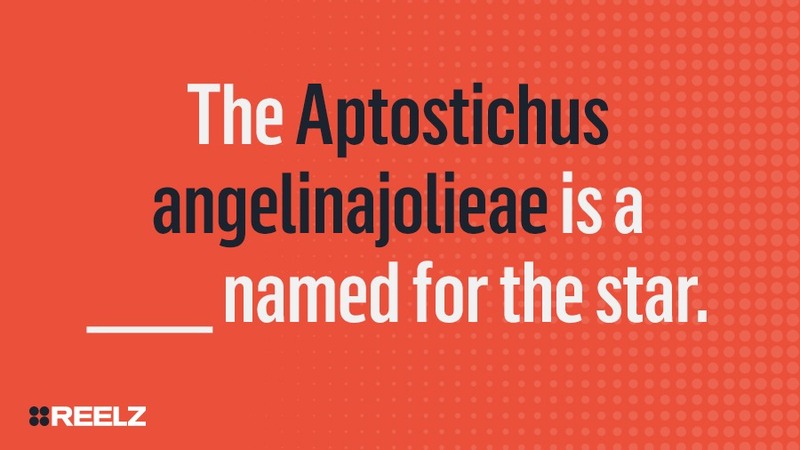 The Aptostichus angelinajolieae is a ____ named for the star.